They say it’s a magical place. They say it’s the most visited national park in the United States. They say they come here for a weekend trip or a vacation and skip the other parks because they only have time for this one. They call it Zion National Park. One quickly realizes these statements are facts within minutes upon entering the park as heads turn here and there into a dizzying frenzy of enchantment. However the well-seasoned traveler will also soon discover what they don’t tell you about Zion National Park, which I’ll lay out below. In the outskirt of the park lies the town of Springdale, which I assume relies on Zion tourism to exist. 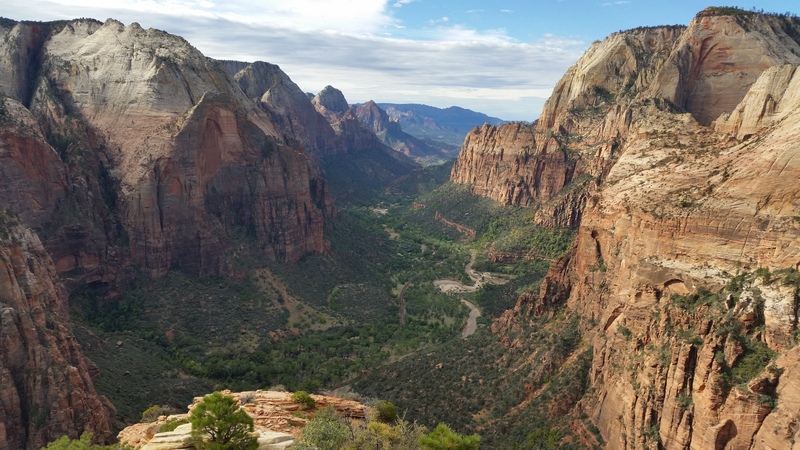 As opposed to a sole general store and dingy motel typically within the vicinity of other national parks and monuments, an abundance of restaurants, hotels, lodges, and even shopping/boutique shops cater to not just the outdoor enthusiast but to the tourist at Zion. The “CAMPGROUND FULL” sign is not a replaceable sign; it is a permanent sign indicating the status of its campgrounds at all times, even on weekdays. 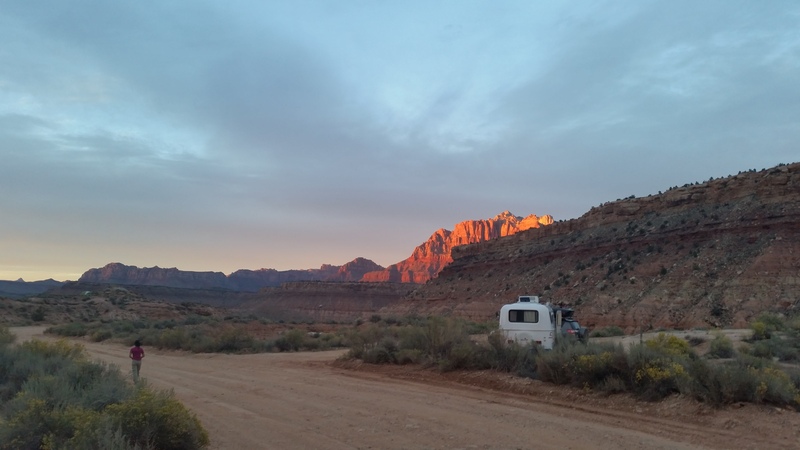 Overpriced campgrounds scatter throughout Springdale, along with $5-for-5-minutes showers due to the absence of showers in Zion. It’s no wonder that cars are not permitted to venture far into the park during May through November; in order to prevent traffic congestion, shuttles were introduced in 2011 to transport in and out all of its visitors. The shuttle ride itself is reminiscent of the crowded, tourist-ridden Disneyland, where voices coated with a forced enthusiasm calling out basic, mundane information are actually appreciated by those who rarely venture out. Tour buses litter the road, and it seems as if the majority of visitors are international tourists or retired elders. This is the Angkor Wat of national parks. 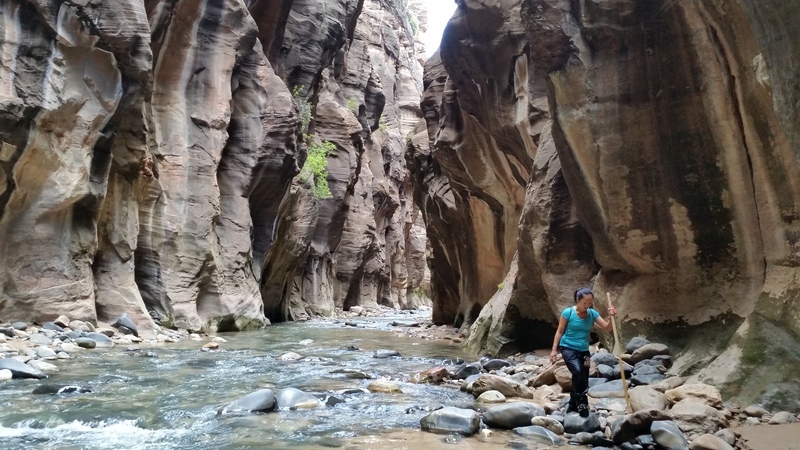 Despite Zion’s mass tourism, we, like everyone else, experienced the magic of Zion. My proficiency with travel planning from our Southeast Asian travels kicked in during my research and enabled us to avoid the tremors of tourist-ridden attractions. First, when to go? THE WEEKDAY (in October for superb weather). I had planned our route and schedule accordingly so we would arrive and depart Zion before the weekenders/vacationers could arrive. I met some campers at Bryce who were in Zion for the weekend before, and with a cry of despair all they could say was, “It was SO crowded.” We arrived on Tuesday late afternoon in mid-October and immediately realized it was the most crowded national park we have ever visited. I could not imagine what the weekend beheld. Second, where to camp? 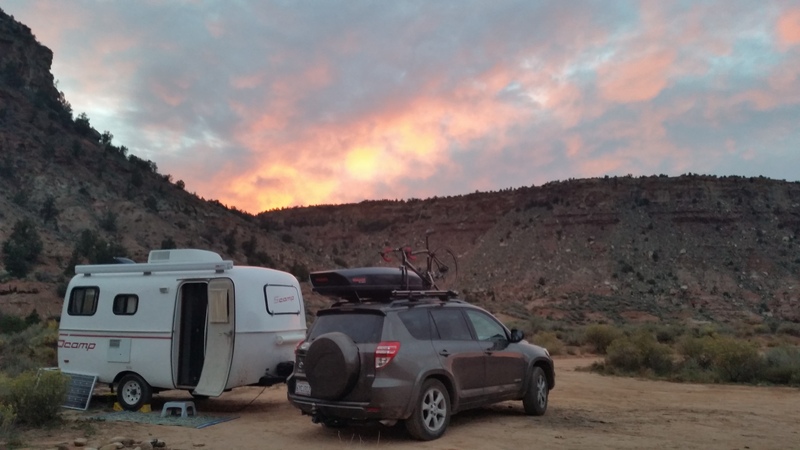 After we left Moab I got hooked on www.freecampsites.net, a site that depends on user-generated information and content for areas of legal and safe boondocking. With a quick search I discovered the Smithsonian Butte, just a 10-minute drive from Zion’s entrance. 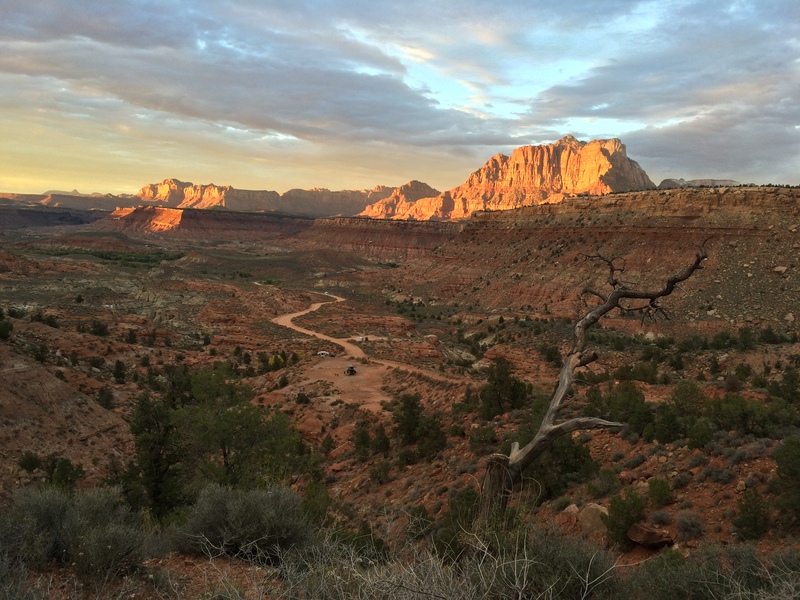 From there, I learned that the Zion area had glorious sunsets practically every evening. And, because of its secret location tucked away from tourists, the beauty could only be shared between us and a handful of like-minded neighbors. As if it couldn’t get any better—we didn’t have to pay $30/night just to park in a random dirt lot along the road in Springdale—it was FREE! 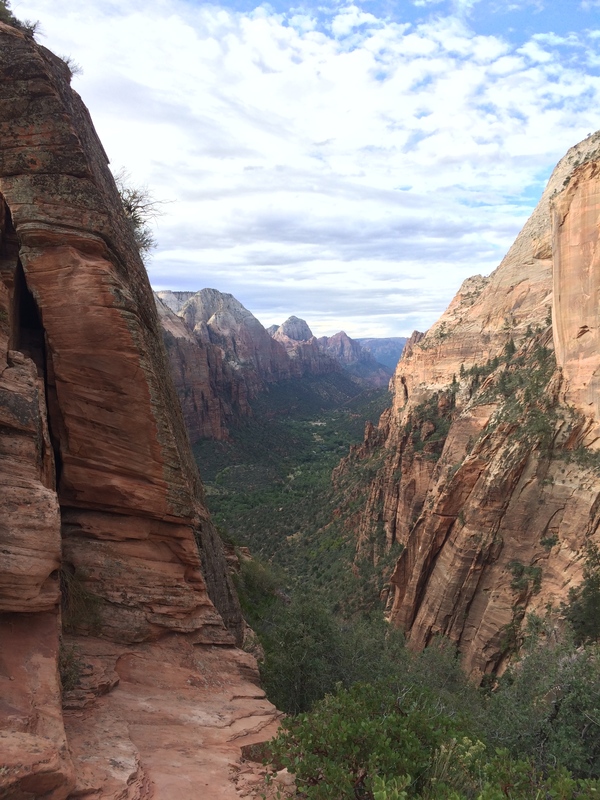 Third, Angel’s Landing. 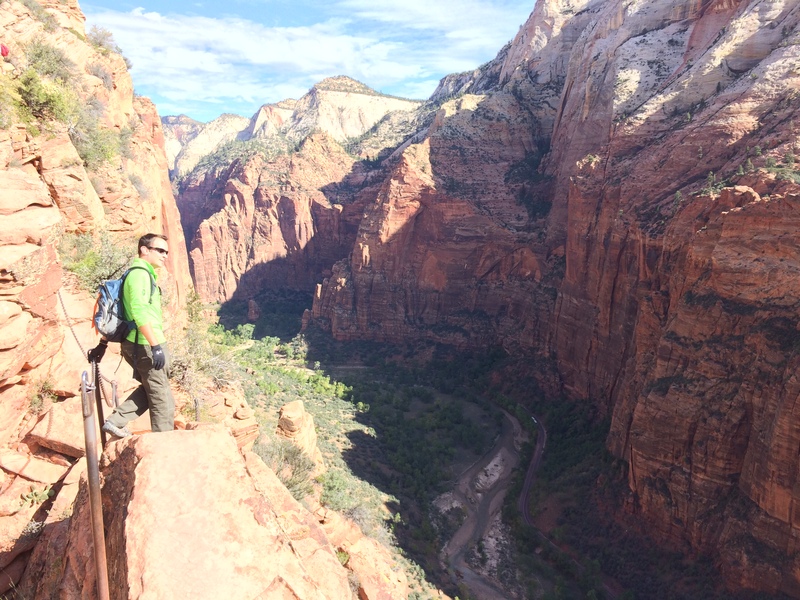 As one of Zion’s most glorified hikes, it’s no surprise that it typically brims with hikers…but not before 9am! 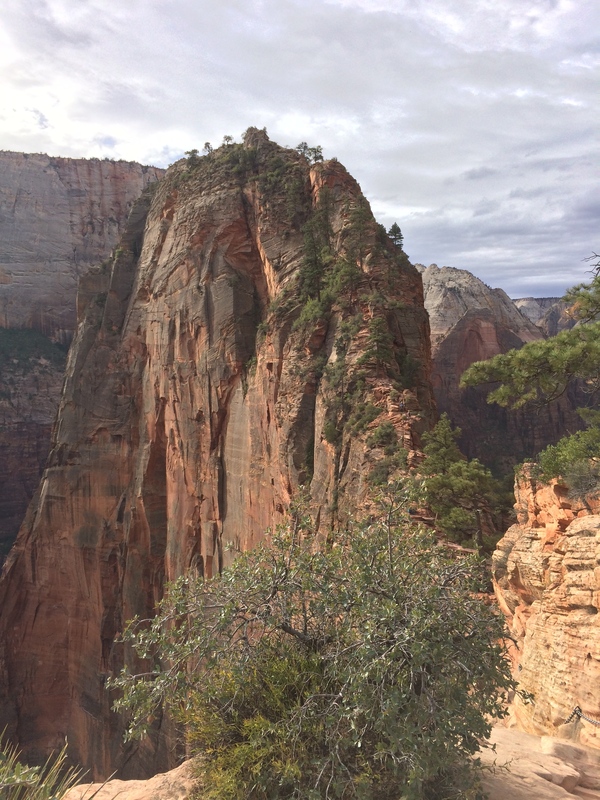 Atypical of hikes in the woods, Angel’s Landing resembles a thin waffle fry with trees growing along the top edges. The steep set of switchbacks are a decent workout, but the joy comes from scrambling over boulders and looking down from the cables into the deep fall on both left and right sides. Once we reached the top, we, along with just a few other hikers, were rewarded with fairytale views of a sweeping landscape. For that instant, awe replaced our short breath. 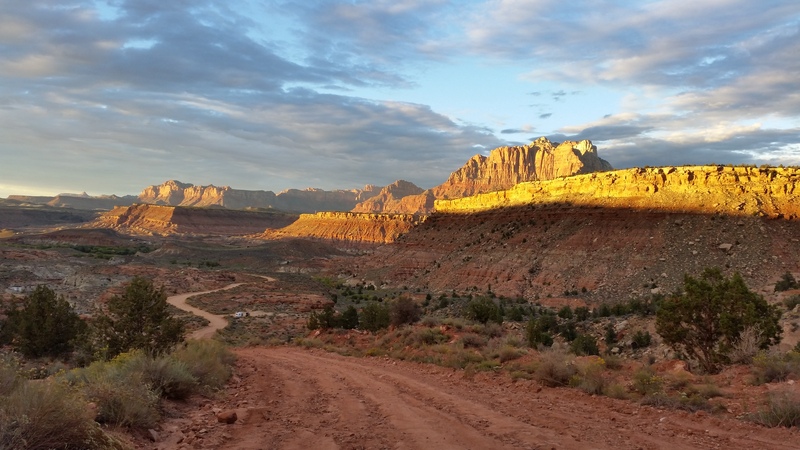 As morning rose, the sun slowly climbed over the canyon walls and rippled across the hilltops in the distance. Time quickly passed, and along with the late morning came more crowds. By the time we began our descent, the crowd at the peak nearly doubled, with even more hikers climbing up. 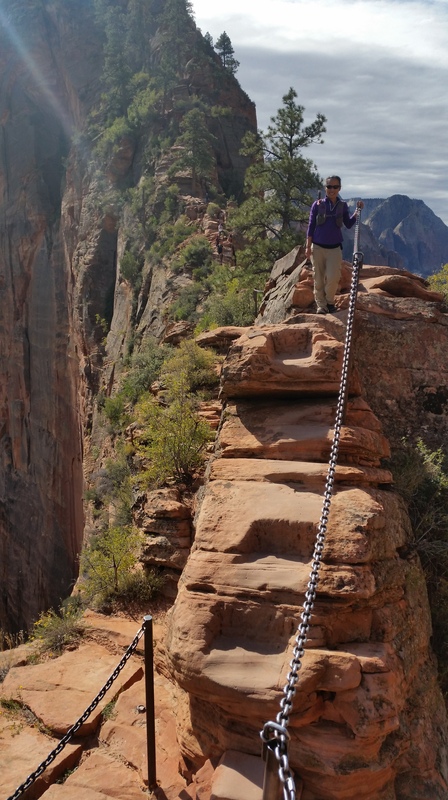 We were relieved to have hiked Angel’s Landing sooner rather than later, as by late morning numerous hikers sat scattered along the rocks stumped from exhaustion, along with some height-fearing hikers refusing to complete the journey to the summit. 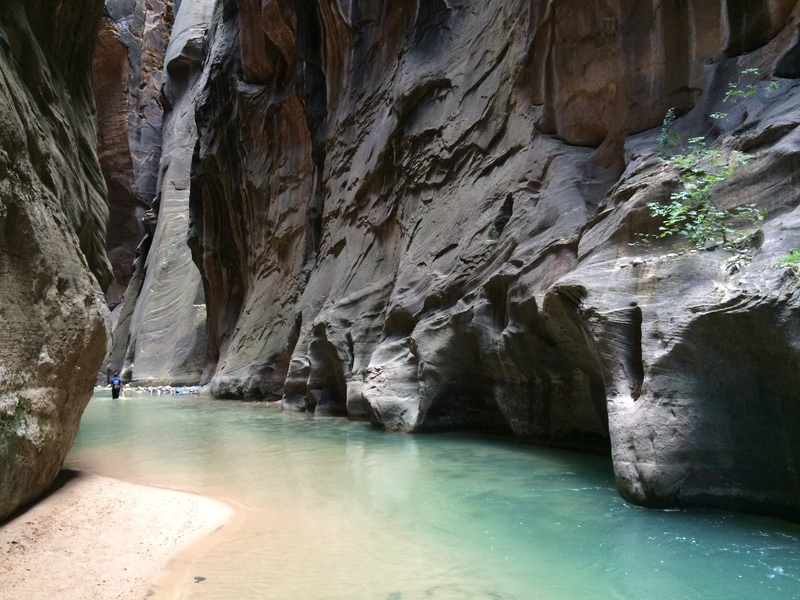 And finally, The Narrows. 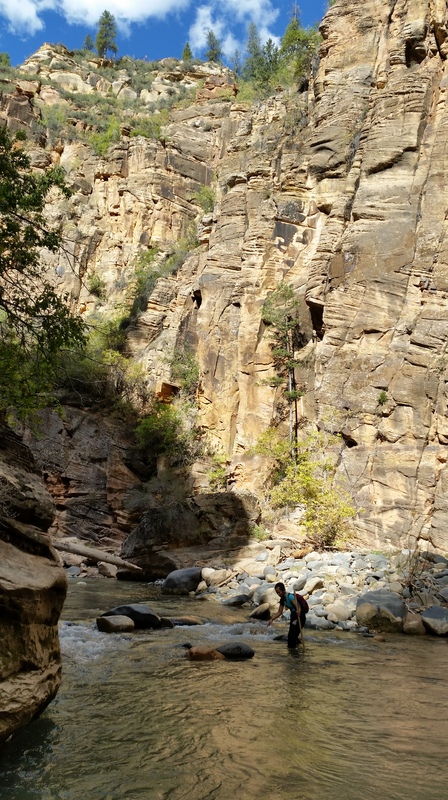 This is why people come to Zion—to zigzag through the Virgin River between mysterious canyon walls, to gaze upward with gaping mouths, to ponder upon the wind-blown, river-carved canvas of Mother Nature. There are three ways to explore The Narrows. First option: start from the bottom at whatever time, hike as far as you please, and turn around and return the way you came. 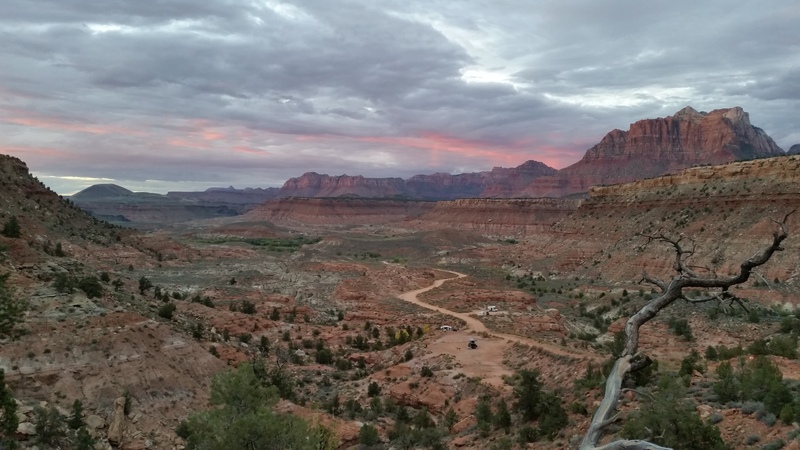 Second option: start from the top in the morning, stop overnight at a backcountry campground, and finish the 16-mile hike the following day. Last option (usually not recommended): start from the top shortly after sunrise, skip the campground, and finish all 16 miles by dusk. A wilderness permit is also required for the top-down hike, which can be acquired at the visitor center from 7am the day before. We opted for the last option. 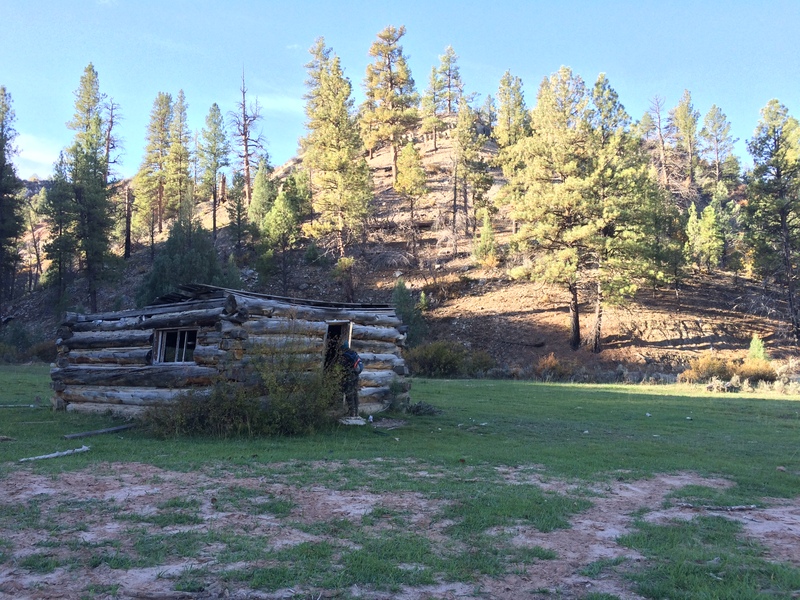 The overnight backpacking experience was preferred but we had not packed our sleeping bags or tent. 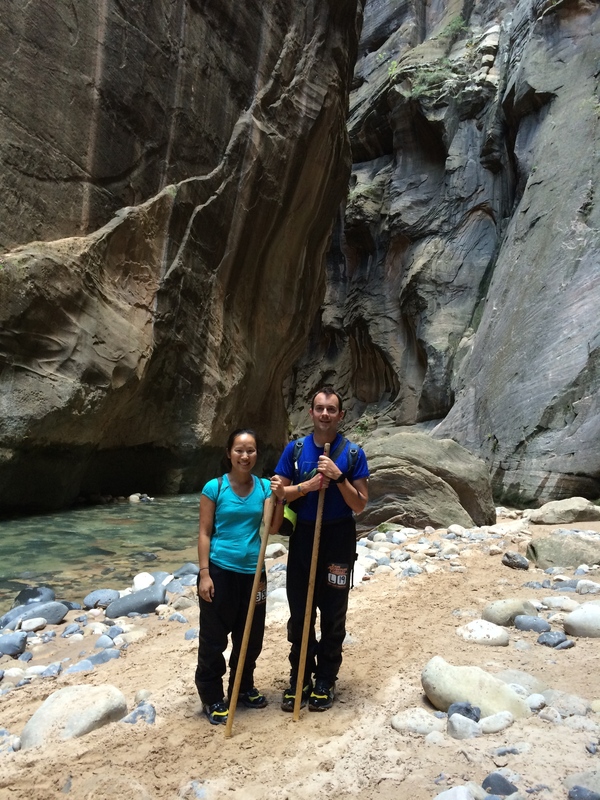 We also figured if we were going to do The Narrows, we were going to do the whole damn thing. The winning factor was that the majority of the tourists were incapable of walking in the river for 16 miles within 12 hours, so we knew that route would be less traveled. And our assumptions were correct! The morning before we hiked The Narrows, we arrived at the Wilderness Permit Center by 6:15am for their opening at 7am. 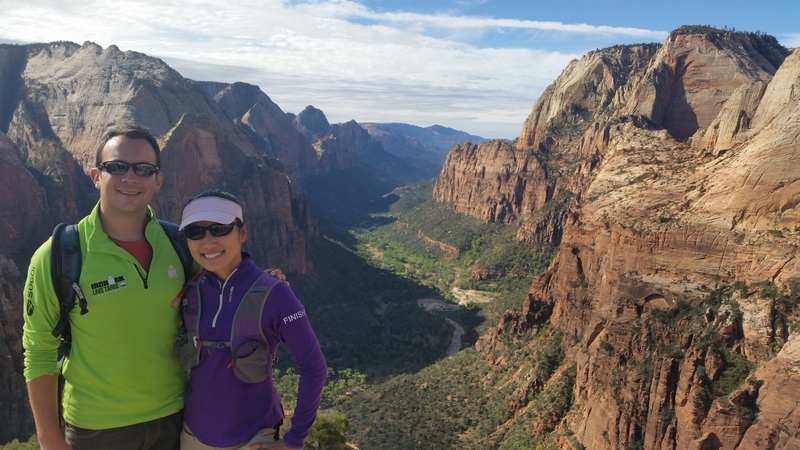 Permits at Zion are scarce and are given on a first-come first-serve basis, so we didn’t want to risk our chances of not getting one. 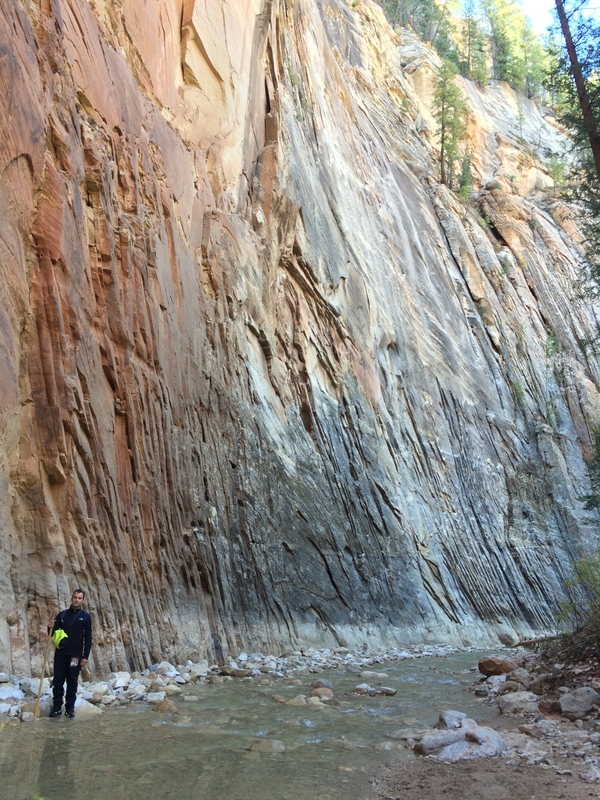 Perhaps we were a bit over conservative, or perhaps it was due to the 40% chance of rain in the forecast, but the line was vacant and we promptly purchased our permits to hike The Narrows after a short lecture/warning about flash floods. 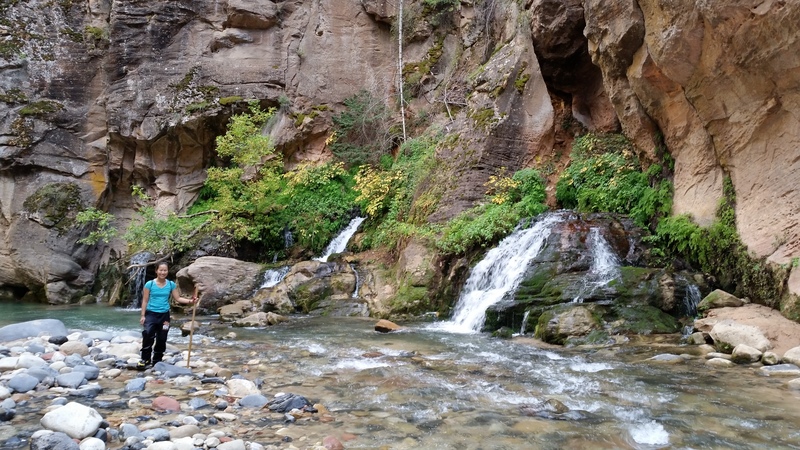 We were aware of the fatality in The Narrows only two weeks prior as a result of a flash flood, but a storm was definitely in the forecast back then, and less than 50% for the day of our planned hike. The morning of our hike was a consecutive early morning, as third-party shuttles for the top-down Narrows hike depart promptly at 6:30am. When I awoke, I observed the brilliant stars and the deep shadows cast by the full moon—a good sign that rain was unlikely. By the time we began our long day, the air was crisp and the skies were blue. Yay, no rain! 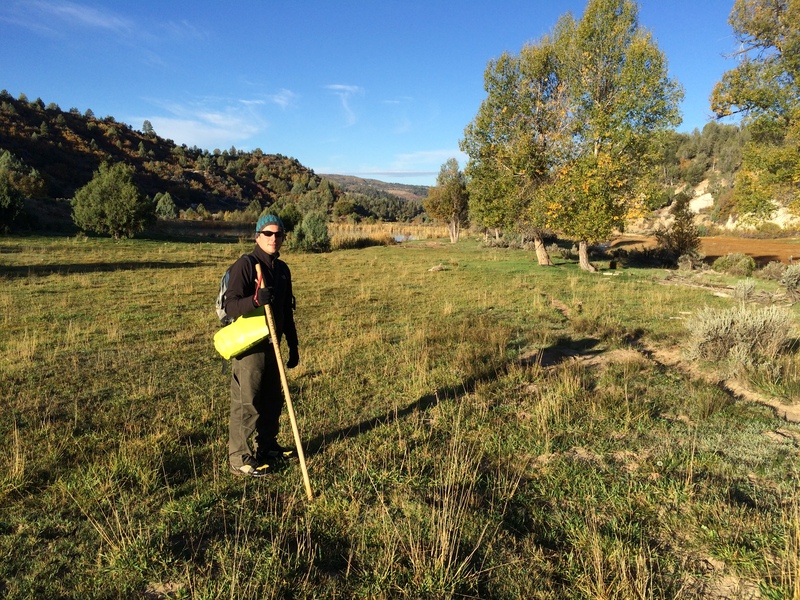 We traveled several miles before the empty stretches of grassy fields could form into subtle walls, but soon enough, canyon walls loomed before us. Note to Mom: Yes, I know I look fat in these pictures. The dry pants we rented made us both look extra bulky. We made it to the shuttle stop right before sunset for a total of 10 hours. Albeit a stunning fairytale landscape, the hike is not for the weary. Stepping over loose rocks and hiking in river currents for 16 miles proved to be more strenuous than we anticipated. 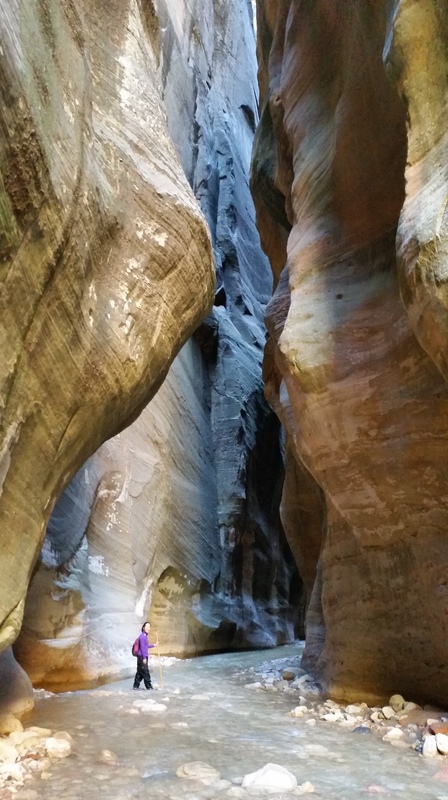 Still, we had the entire Narrows all to ourselves, up until the last couple hours when we drew nearer to the bottom of the trail. Totally worth it. With ankles and legs aching from a full day’s adventure, we stuffed our faces with greasy pizza that night before passing out in bed. The following morning we headed out to the notorious Antelope Canyon. 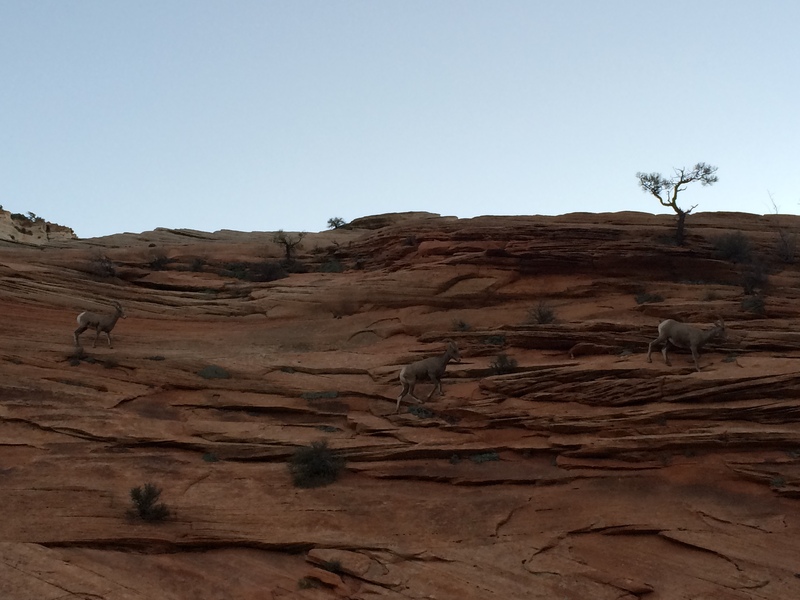 Just when we thought our Zion adventure couldn’t get any better, we spotted several bighorn sheep literally along the road on the way out. 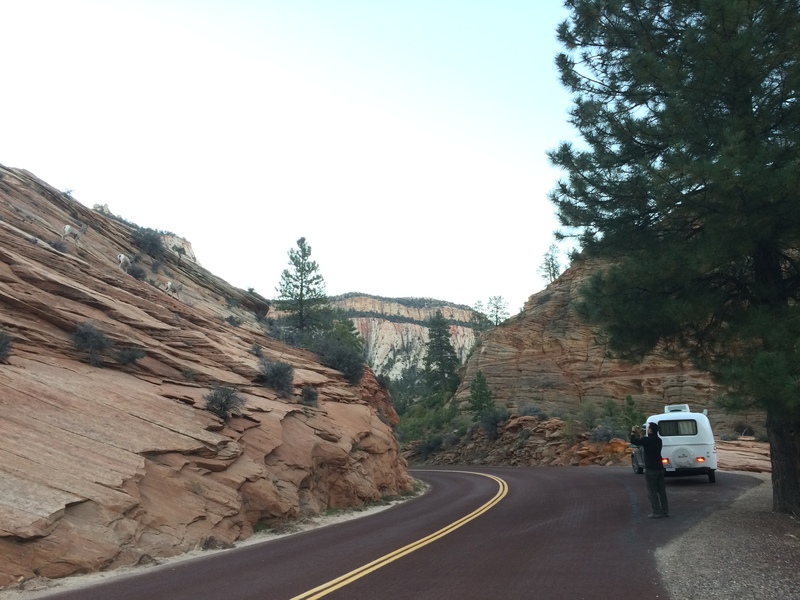 Of all the national parks and monuments we visited in Southern Utah, Zion definitely captured our hearts the most. With plenty of diverse wildlife, it was not uncommon to see a Disney-like scene of a doe and fawn feeding in the foreground of glowing trees and canyons. 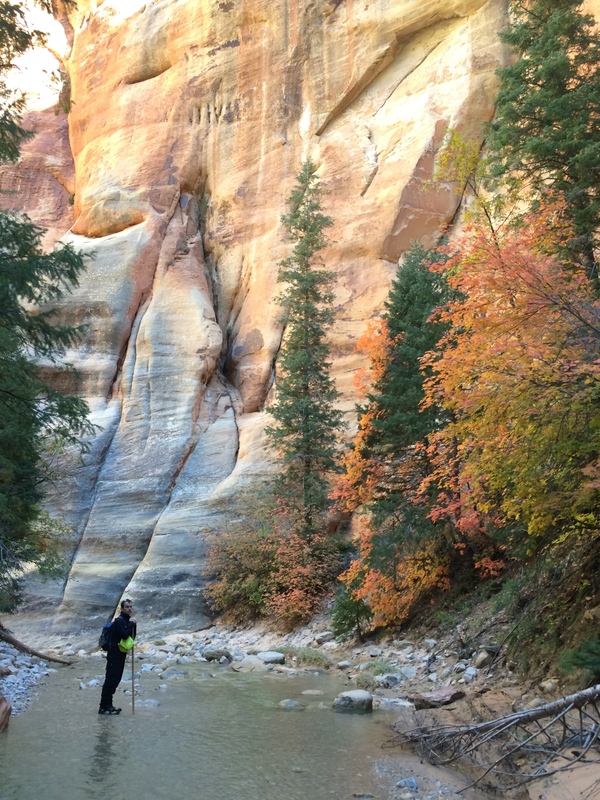 The surreal landscapes, the dramatic sunsets, the epic hikes–these are the reasons for Zion’s notoriety and prominence. 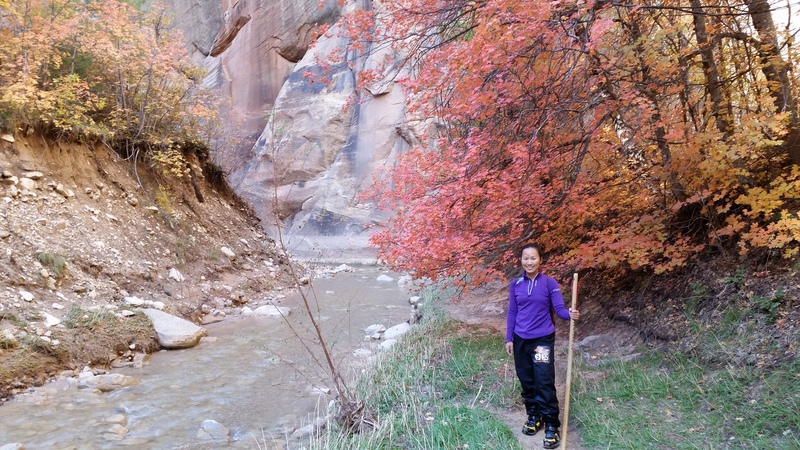 Hopefully with careful planning on when to go, where to stay, and which hikes to explore, you can also enjoy Zion in tranquility, just like how the wilderness is meant to be experienced. 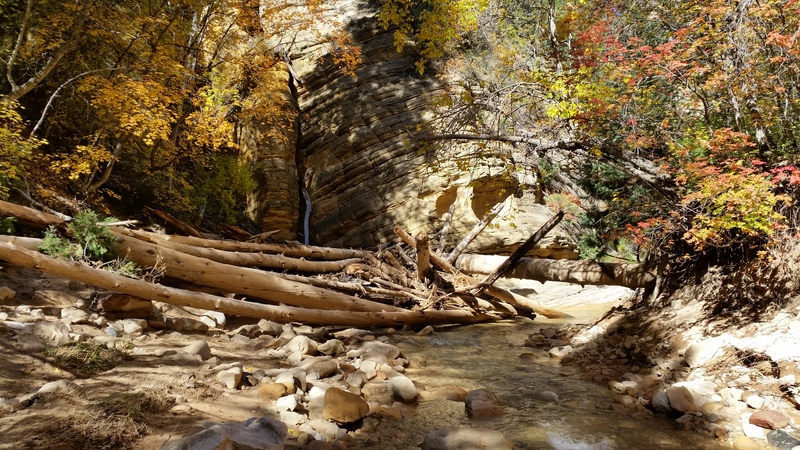 This entry was posted in Utah and tagged Zion National Park. Bookmark the permalink. Thank you so much for sharing. Sawyer and I are already planning next years adventure. Keep in touch. John/Sawyer/Bend Oregon. Come join us this winter for some boarding.